Figure 1. 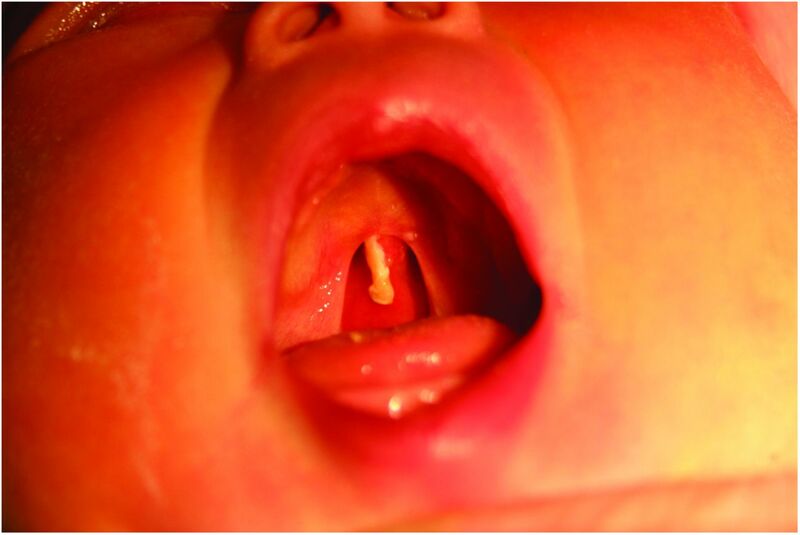 Mucous cleft palate. Figure 2. 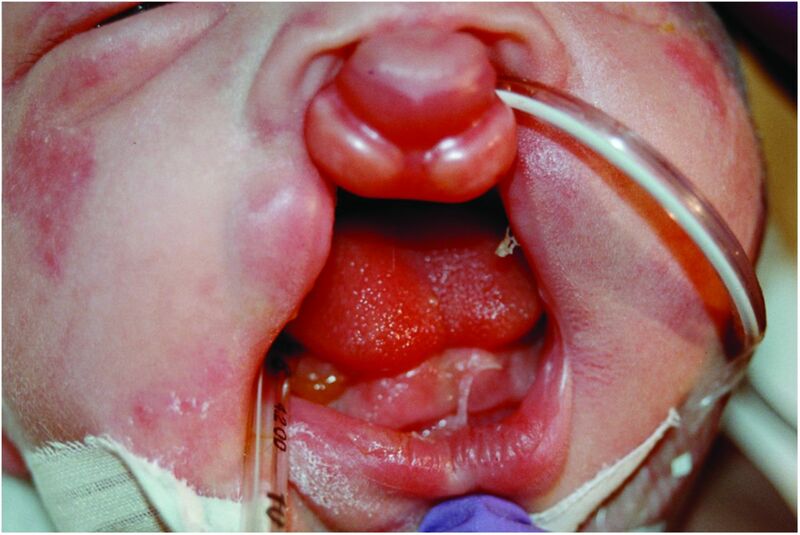 Bilateral cleft lip and palate. Figure 3. 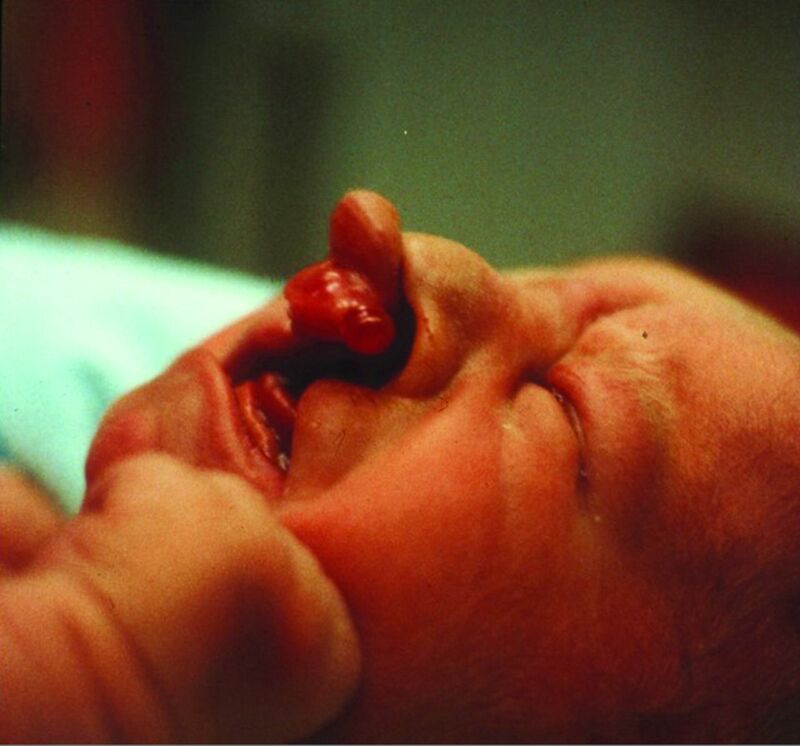 Trisomy 13 protruding cleft lip.